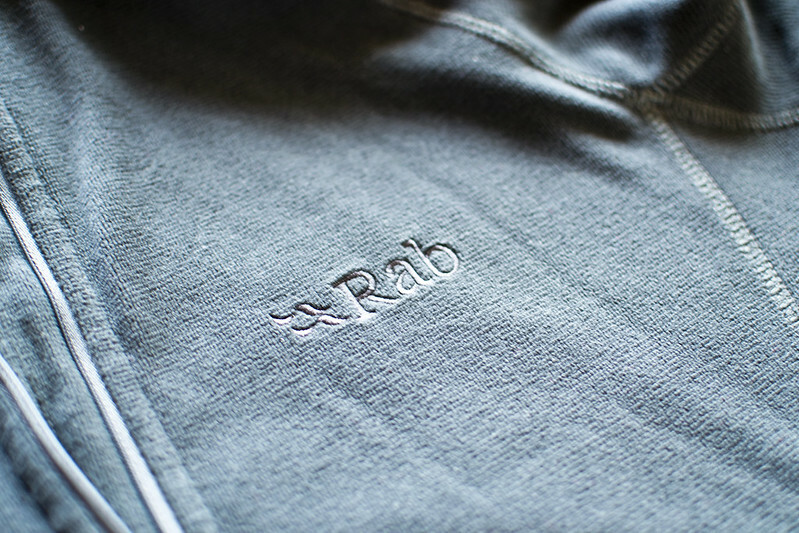 I’ll start like I start all of my reviews; with a disclaimer, that this Rab Orbit Pull-on Fleece was sent to me by Sam at GO Outdoors to review. Sam contacted me. I was given the choice of few bits of kit that I could review. GO Outdoors were kind enough to send it to me and I get to keep it. I have no vested interest in GO Outdoors, Rab who make the fleece itself other than to share my views and opinions; good, bad or otherwise. First impressions out the bag, this was as fancy free as it could be. No bells and whistles on this top. No nonsense functionality. I do a job and I do it well. A mid-layer or a base layer whichever you choose it was ready to do the business. 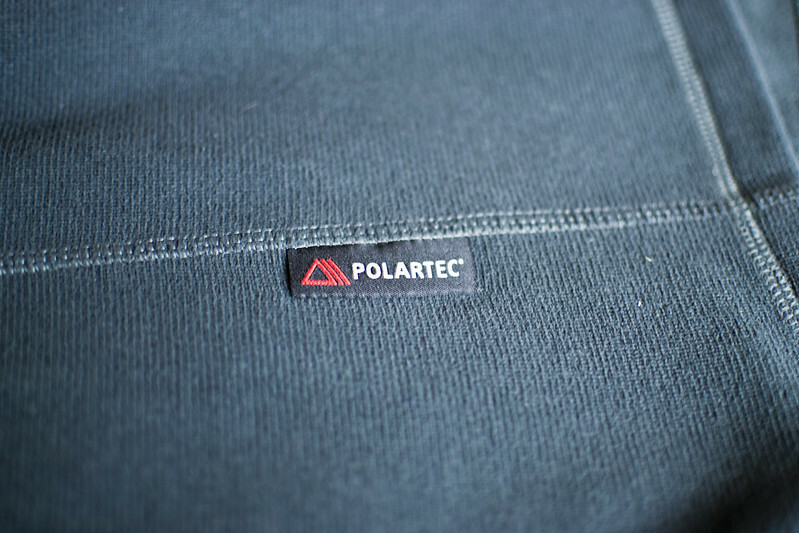 Lightweight Polartec 100 is the fabric that Rab have gone with for this microfleece. They say it has a micro stripe pattern which I assume is on the outer face of the fabric and feels a bit harder. Whereas the inside face is soft and almost silky in contrast. Making it very nice to wear next to the skin as a base layer should you want to. Rab have made a good comfortable top. On closer inspection and handling it's well made, no dodgy stitching or loose threads. 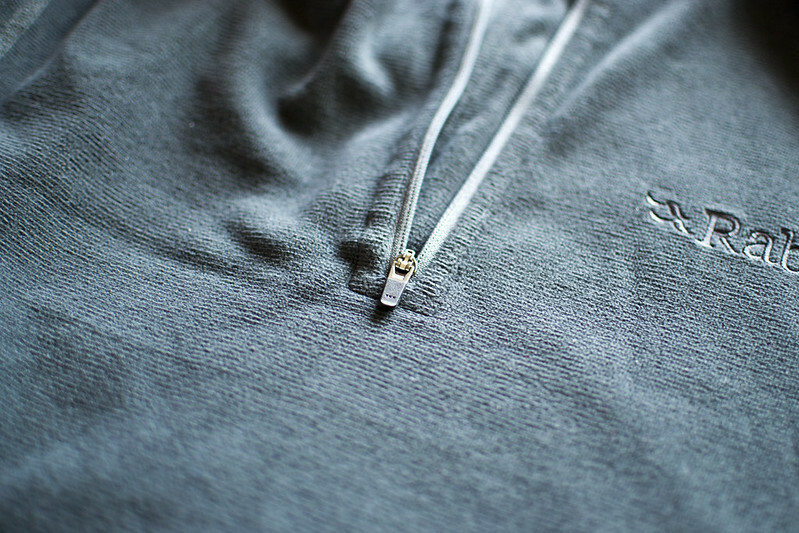 Some really nice finishing touches, like on the inside the seams round the collar and zip have been overlaid with a comfort strip. Once I put it on, within a few minutes I was unaware of it. Which is ideal as personally when I'm out walking or whatever I don't want to be always footering with my garments. It passed the Tookie indoors gear test with flying colours. If something isn't comfortable or functional about the house, lounging, playing games with the family, down the pub, at the shops then it's going to be 10 times worse when you're out on the hill or far from home. It's also a very light top coming in at 267 grams on my scales. There's not much in the way of features on this fleece but personally as midlayer I don't want much. It has a deep chest zip to help with venting and a chin guard on the collar to stop the zip chaffing when you have it pulled all the way up. 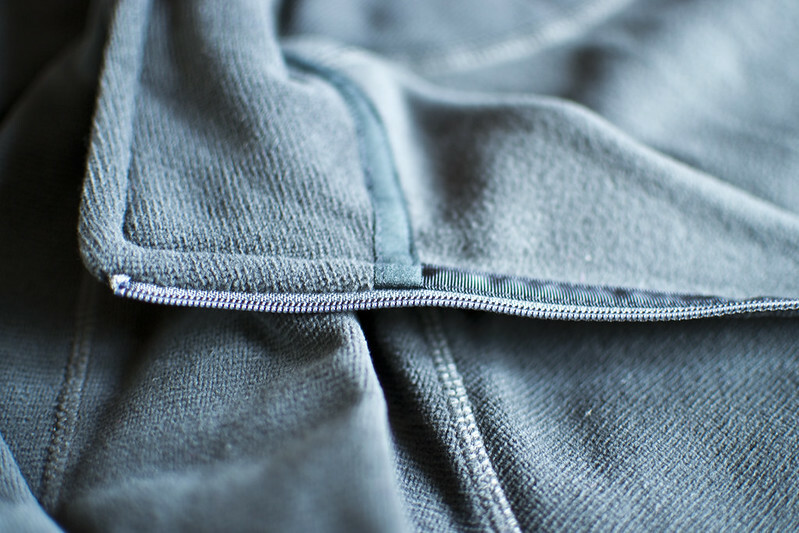 It also has a storm flap behind the zip to help stop drafts getting through. 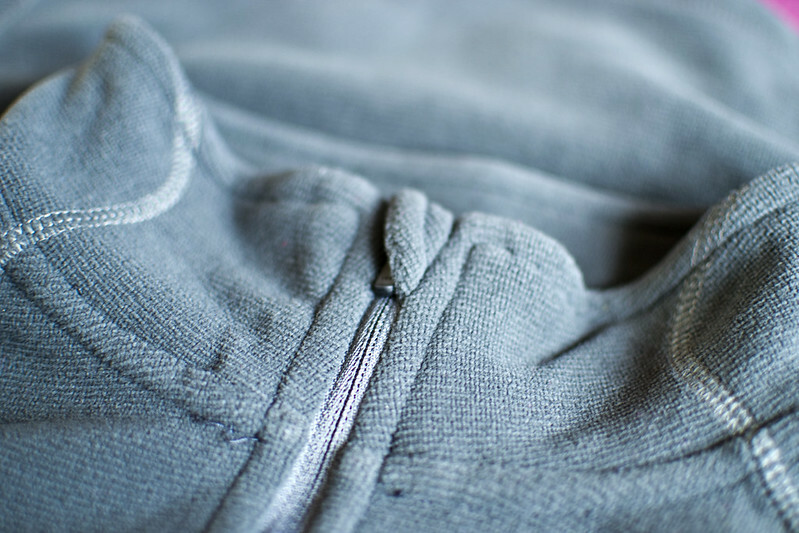 The zip pull is very small and probably a bit difficult to get a hold of, if you're wearing gloves or have big muckle hon's but it does tuck away nice and neat into the chin guard. The cuffs are not elasticated but the fleece fabric is stretchy enough should you want pull them up to your elbows. I has a scooped tail at the back to help keep your back covered when bending over or stretching up. The fit for me on this size medium is almost perfect so I would say that it would be a standard fit on the medium scale not slim or generous. 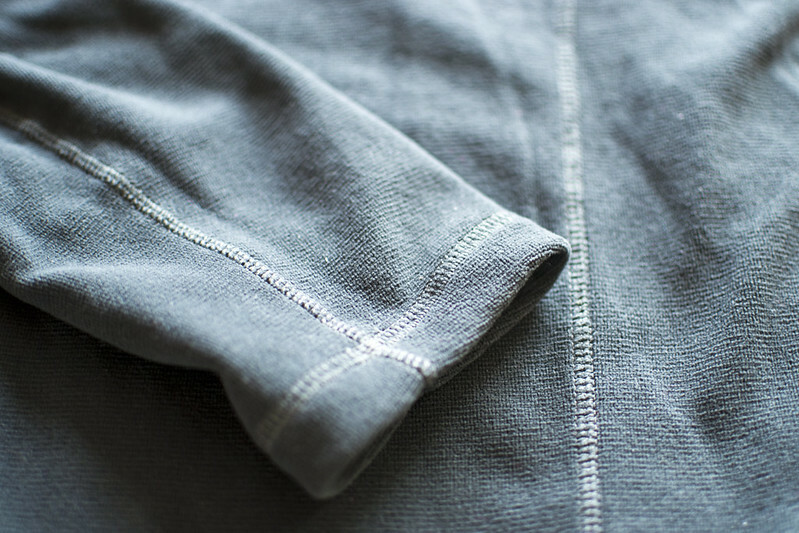 It also has flat locked seams which help especially if you are layering up or carrying a rucksack no bulk to catch or sit uncomfortably. I've had this for a while now and it's either been on under a shell or as top layer with a base or I've just been carrying it around just in case. I found it to be an ideal partner for my close fitting windshirt as it not bulky so it fits great under it. Great to just pull it on when I stopped to keep that breeze from chilling me. It's in my rucksack for when I need that extra warmth without hassle. It's good; it works, what more could I want really? More photographs can be found in my flickr set here.